Today we have Lyndon Haynes with us, all the way across the sea from England! His book, This Functional Family, launched this past June. From a strict upbringing in seventies Tottenham to the stage at Wembley Arena, This Functional Family is the story of ‘Lyn E Lyn’, best known as a rap artist with the band Sindecut. In his own words, Lyndon Haynes recalls the pleasures and privations of a childhood in an inner city, his lifelong battle with sickle-cell anemia, and his equally lifelong determination to succeed. Supported by his ever-loyal family, his early teenage years saw him become a successful child actor, appearing on television and the stage. In the late eighties his passion shifted to a new musical phenomenon that was sweeping the British Isles from America: hip hop. Lyndon tells us today about his path to publication. Thank you so much for allowing me to contribute to your Write on Wednesdays. I hope the piece below can inspire and educate any aspiring or established authors to continue their dreams and to write without fear! After nearly eight and a half years of writing I can now say that I have realized my dream of becoming a published author. My first book, This Functional Family was published on June 30th 2011. I don’t want anyone reading this to believe this was an easy road. This is something that started way back. I first became interested in writing when I was in school, but my path in life swayed me from pursuing my passion. So instead I went into music and had a rap career. In all the years I spent writing songs and performing I always felt I needed to express my creative mind in another way so I enrolled to a creative writing course at my local college. I felt I had the tools to build something but just did not know how to structure it. My teacher was a little old lady called Maureen Spurgeon. Without her I would not have had the courage to become an author. She taught me some excellent skills, such as narrative and single lined plots, which to be honest I knew nothing about. Soon after I had completed my course I embarked on writing a few short diclofenac stories. At first I found it easy as the words just spilled out on the page. I wrote by hand, not able to afford the luxury of a laptop or computer. It took me years to continue to work on my craft until I was confident enough to even let anyone read any one of my stories. I confided in a work colleague and she asked to read one of my stories. When she came back I could not believe her reaction. She loved it! The same person encouraged me to send my manuscripts out to publishers. She told me “have faith you have a talent don’t waste it” so I went with her advice. I sent my manuscripts to about five different publishing companies and also contacted some self publishing websites and had no expectations. Within two weeks I had four different types of offers, including subsidiary deals and self publishing. I was amazed that anyone would even come back to me, but they did. 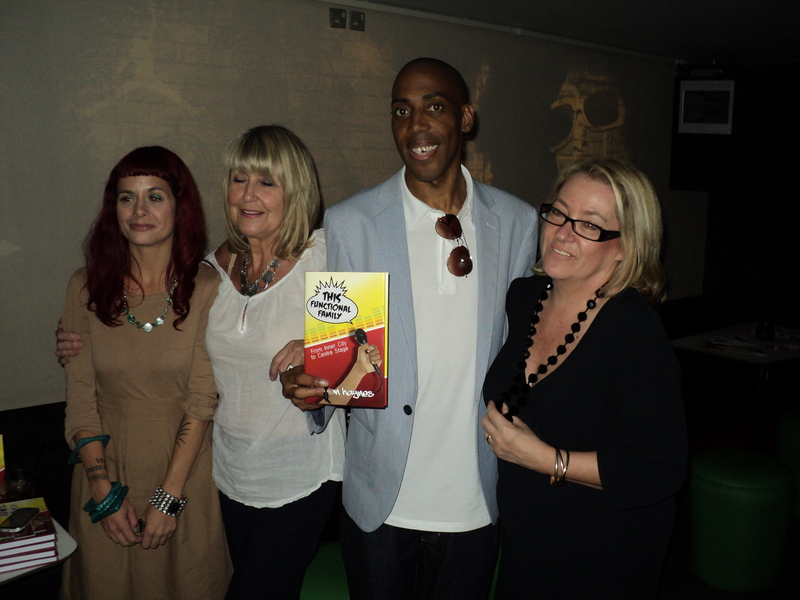 Eventually I signed a two year deal with Book Guild Publishing based in Brighton, England. My gut instinct told me they were the ones that were most interested in not just my work, but more importantly my potential. The whole process from manuscript to book has been a joy, and to finally have my book sitting on mine and other people’s bookshelves is an amazing feat and great realization. I’m not about to rest on my laurels either. I write everyday and more ideas are flooding out of my mind. I’m sure there are thousands of writers just like me who humbly believe that they have a great story to tell. 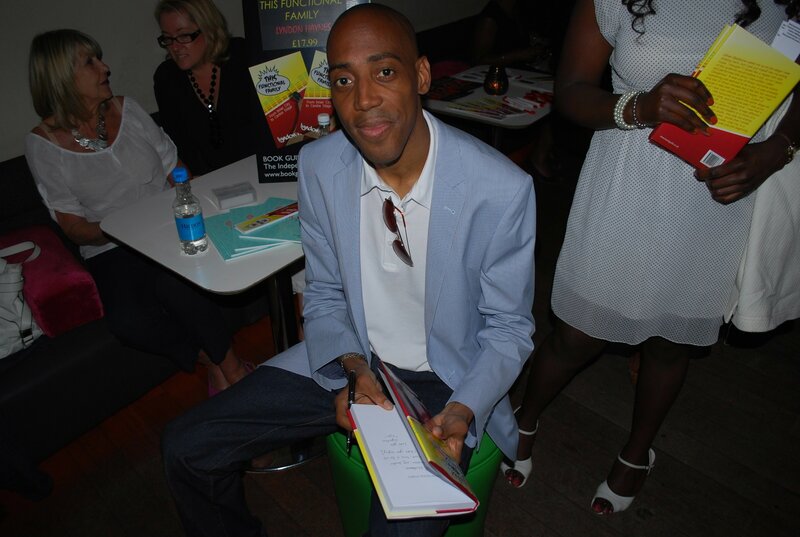 My advice is to keep writing and keep believing that you have a talent, and you also have an audience. I took my company name and motto from a famous movie starring Billy Crystal and Danny DeVito, Throw Momma from the Train- A writer writes…always. 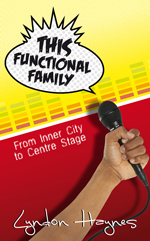 My new book, This Functional Family, is out now at all leading online book retailers on Book Guild Publishing. Visit my blog here. This is a great post and reflects the long road traveled by many aspiring memoir writers who must first find their voice and learn story writing skills in order to tell their own story. The fact that he worked so hard to write it makes me want to read it. However, having moused around I’m not sure if it’s available in the U.S. Is there a best way to buy it here? Hello Jerry I believe you can purchase a copy directly from the publishers if you email laura@bookguild.co.uk they will be able to send it directly to you. Thank you for your kind words and interest. Hi Jerry, thanks for stopping by. Great question! Lyndon can best answer that and I know will be thrilled you are interested in his book!